At first, you can hide a bunion with wide shoes, but the condition continues progressing, ultimately causing pain that affects your ability to walk. Dr. Dustin Hubbard and Dr. Ralph Dixon at Fairbanks Foot and Ankle are experts in treating bunions with conservative options, but they also have extensive experience performing corrective surgery. If you have questions about a bunion or your foot health, call the office in Fairbanks, Alaska or book an appointment online. A bunion is a deformity that develops when the bones and joints of your big toe are forced out of their normal position. The deformity develops gradually, as ongoing pressure pushes against the big toe. As a result, the tip of the toe leans in toward the second toe, and the joint at the base of the toe sticks out, creating a classic protruding bump on the side of your foot. Bunions continue to worsen without treatment. Over time, the bony structure changes and the joint becomes inflamed and swollen. You may also develop bursitis, which is inflammation of fluid-filled sacs in the affected joint. 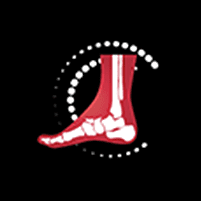 In severe cases, the top of the big toe bends so severely that it affects the second toe, making it move out of alignment and push under or over the third toe. Are you at risk of developing bunions? You may also benefit from exercises designed to restore movement in the joint. When you still have pain despite conservative treatments, your doctor may perform surgery to correct the deformity. Scheduling treatment as soon as you notice a bunion can help prevent progression, so call Fairbanks Foot and Ankle or book an appointment online.